Dudley Sutton was lately famous as the tweed-suited, beret-wearing Tinker Dill, roguish sidekick to Ian McShane’s antiques dealer Lovejoy for eight years from 1986. It eclipsed a long theatre career, but gave a household name to a face that had been familiar on British television and cinema screens since the 1960s. He began acting at school and continued doing so during a five-year spell as a mechanic in the RAF, where an officer encouraged him to enrol at RADA. His time there was short-lived, his training over almost before it began. “I got fired out of laziness really,” he later recalled. He found a more conducive environment in Joan Littlewood’s Theatre Workshop at Theatre Royal Stratford East, where he drew attention in a run of seminal productions including Lionel Bart’s Fings Ain’t Wot They Used T’Be (1959) and Thomas Murphy’s A Whistle in the Dark (1961), following both into the West End. In 1964, he brought an insinuating menace to the title role of Joe Orton’s Entertaining Mr Sloane at the Wyndham’s Theatre and its short-lived Broadway run. Two years later, he was seen alongside Alec Guinness and Anthony Quayle in Arthur Miller’s Incident at Vichy at the Phoenix Theatre, where he returned in 1987 in the company of Albert Finney and Bob Peck in Ronald Harwood’s JJ Farr. Later stage appearances included Feste (Twelfth Night) for Bankside Globe in 1973, Sam Shepard’s Curse of the Starving Class (Royal Court, 1977), Vladimir (Waiting for Godot, Cambridge Theatre, 1978) and Boris Vian’s The Empire Builders (Gate Theatre, 1979). He formed a long attachment to the Chipping Norton Theatre, regularly acting in productions and writing shows for it. He took two one-man shows, Killing Kittens (2003) and Pandora’s Lunch Box (2006), to the Edinburgh Festival and was last seen on stage as Candy in a 2016 touring adaptation of John Steinbeck’s Of Mice and Men. On television, he was seen in the soaps EastEnders, Coronation Street and Emmerdale, and film work included Ken Russell’s The Devils (1971), Federico Fellini’s Casanova (1976) and Derek Jarman’s Edward II (1991). 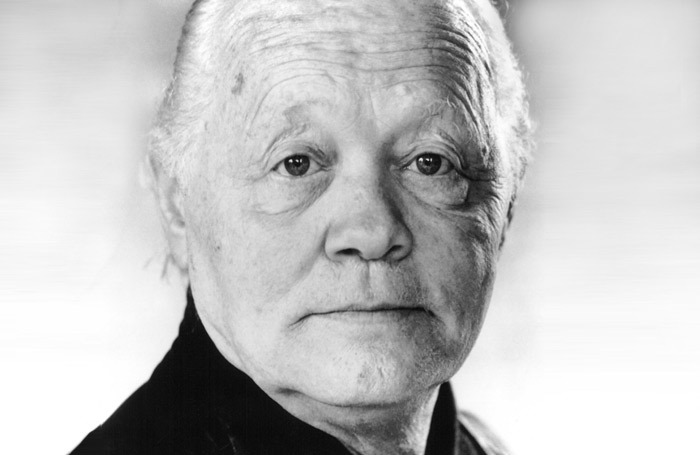 Dudley Sutton was born in Kingston-upon-Thames on April 6, 1933, and died on September 15, aged 85.